Whether you’re dropped some serious bucks at the local Blow Out bar or did a DIY dry, extending your results for the four day blowout is important. Although the following tips will help you maintain your new blow out for a minimum of four days, with some extra effort, you might even extend it up to a full week or more. The most spectacular blow out can flatten, wilt and/or crease after 6-9 hours of health inducing shut eye. Make sure hair is completely detangled before resting your head on a pillow. Use a 100% boar bristle paddle style brush to detangle individual 2″ sections of hair from the ends up to the roots. Work slowly until entire head of hair is detangled. Never sleep on tangled strands which will cause creasing and knots. It may also shorten the life of your blow-out. A. Sleep on a satin or silk pillowcase which minimizes creasing, pulling and wilting. B. If you’re hair is fine and/or thin, gather hair into a low nape level ponytail right before bedtime. Use a soft ribbon, dent-free fabric scrunchie or ponytail cover which won’t dent or add bends to your hair. C. If your hair is medium to thick, add extra frizz protection by wrapping and tightly tying a silk or satin scarf around hair before bed. D. For extra protection, gather hair into a dent-free scrunchie and wrap into a protective silk or satin sleep cap. E. Wear hair up in a soft top knot style bun, or down in a loose chignon, depending upon your hair’s type, texture and length. F. Experiment with a variety of options to find the best long term option. Note: Sometimes wearing a sleep cap may cause head or hairline to sweat which can cause frizzing. If this is the case, skip the sleep cap. If you hair tends to get oily or sweaty during sleep, sprinkle a tiny bit of organic cornstarch on your finger tips and lightly brush through potential hair problem areas. 2. Block heat and humidity blow-out killer from the shower. Wrap a long thick moisture-resistant towel completely around your hair before stepping into the shower. If you prefer, completely wrap hair in a thick moisture-resistant turban before showering. 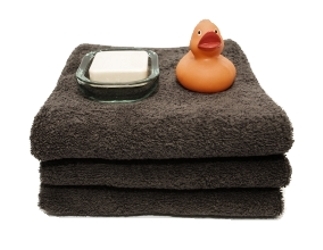 Or you can consider using a moisture resistant shower cap which you first line with a thick wash cloth, towel or paper towels. To add some luscious body and volume to hair, wrap large sections of hair in large foam curlers, put on a shower cap and shower. Step in and out of the shower as quickly as possible to minimize the impact of the heat on the hair. Before you go outside, use a silicone-enriched product. 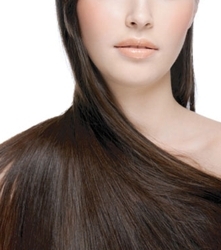 Silicone products block frizz-producing moisture from the outside air. A. Thin hair – Mist a small amount of shine spray onto palms of hands. Brush lightly over the the top of hair. B. 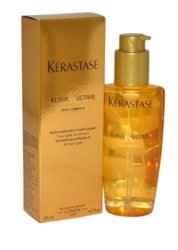 Medium t0 thick hair – Apply silicone spray or drops into the palms of your hands. Lightly finger pick through strands to distribute. 4. 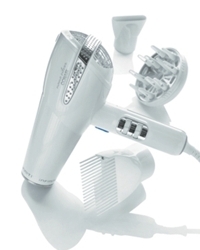 Remove unwanted aromas from the hair. If your hair picks up cigarette or other unwanted aromas, a quick cure is to run a dryer sheet through hair. The oils in the sheet give hair a just-washed scent. It also adds a dash of condition to help tame frizz and fly-a-ways. While it’s important to sleep and shower properly, once the original blow out starts to age, utilize dry shampoo to blot up oils and/or grease around the hairline and at the roots. Experiment with different side parts to refresh root volume and body. 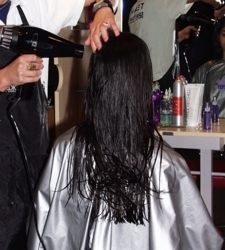 When a straight blow-out starts to sag, spritz hair with a little water and blow dry hair upside down to refresh. Or use a medium-size curling iron to create instant waves. By the end of the 4th day, if you decide to extend the blow out longer, experiment with creative braids, ponytails, buns, chignons and half up-half down styles including side twists. With great planning, the proper strategies and tools you can easily extend your gorgeous blow out up to four full days. If you are really creative, patience and can think out of the box, you may be able to extend your blow out for as long as a week or more. This entry was posted on Saturday, November 15th, 2014 at 9:36 pm	and is filed under Hair. You can follow any responses to this entry through the RSS 2.0 feed. Both comments and pings are currently closed.